It’s our 500th post and to celebrate, our Free App of the Day is a great early-learning counting app. Kids Learning – My First Counting Game helps toddlers and preschoolers with number recognition and counting skills. Why Grasshopper Apps? We believe that educational apps should be ridiculously fun, immensely educational, and affordable for all. Fortunately, hundreds of thousands of parents agree and have turned us into one of the hottest app developers for kids on the iPad. 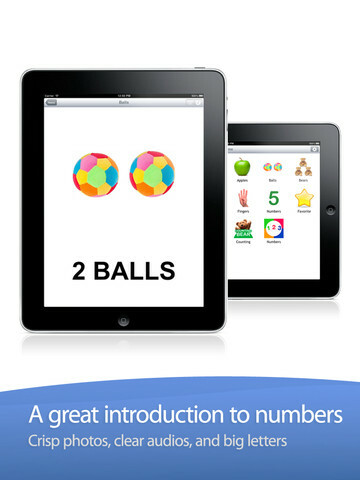 * A great and exciting introduction to learning numbers 1 to 20. * Add your own cards – record own voice and add own pictures! Heroic Support is not just what we do. It’s really what makes us, well, us. It’s that drive to make a difference in your life – no matter how big or small. Really, it’s our way of life because we want you to be our customer for a lifetime of fun and learning.